This project has received funding from the European Union’s Horizon 2020 research and innovation programme under grant agreement No 641100. Project Abstract: Contemporary research endeavours aim at equipping artificial systems with human-like cognitive skills, in an attempt to promote their intelligence beyond repetitive task accomplishment. However, despite the crucial role that the sense of time has in human cognition, both in perception and action, the capacity of artificial agents to experience the flow of time remains largely unexplored. The inability of existing systems to perceive time constrains their potential understanding of the inherent temporal characteristics of the dynamic world, which in turn acts as an obstacle to their symbiosis with humans. Time perception is without doubt, not an optional extra, but a necessity for the development of truly autonomous, cognitive machines. TimeStorm aims at bridging this fundamental gap by shifting the focus of human-machine confluence to the temporal, short- and long-term aspects of symbiotic interaction. The integrative pursuit of research and technological developments in time perception will contribute significantly to ongoing efforts in deciphering the relevant brain circuitry and will also give rise to innovative implementations of artifacts with profoundly enhanced cognitive capacities. Equipping artificial agents with temporal cognition establishes a new framework for the investigation and integration of knowing, doing, and being in artificial systems. The proposed research will study the principles of time processing in the human brain and their replication in-silico, adopting a multidisciplinary research approach that involves developmental studies, brain imaging, computational modelling and embodied experiments. By investigating artificial temporal cognition, TimeStorm inaugurates a novel research field in cognitive systems with the potential to contribute to the advent of next generation intelligent systems, significantly promoting the seamless integration of artificial agents in human societies. Neuro-psychological investigation of brain mechanisms devoted in the processing of time successfully completed and key findings have provided guidelines for the implementation of computational models. The integrated consideration of the novel experimental protocols studied in TimeStorm has introduced several alternative views on time investigation and revealed new theoretical explanation of temporal cognition mechanisms. Early integration and embodiment of partial models have been already achieved and the beneficial effect of robotic temporal cognition on human-robot synergies and time-critical multi-agent scenarios has been demonstrated. 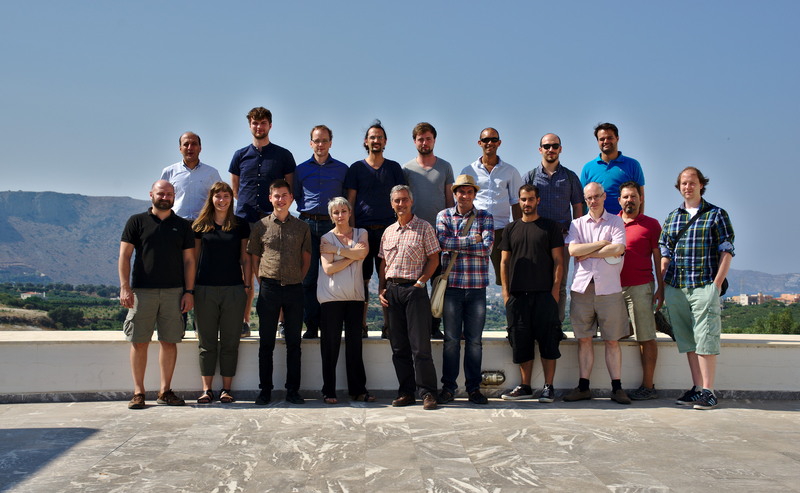 A new FET-funded project, namely ΕNΤΙΜΕΝΤ has recently commenced in order to verify and substantiate the innovation potential of key TimeStorm research results turning them into a genuine social and economic innovation.